Is your nonprofit struggling to find donations? Maybe your nonprofit needs PR to raise its profile in the community. We recently ran a media campaign for a nonprofit organization that helps young adults, women and veterans find jobs in the tech community. The nonprofit provides a free educational program but they still need to find donors, corporate sponsors and students. 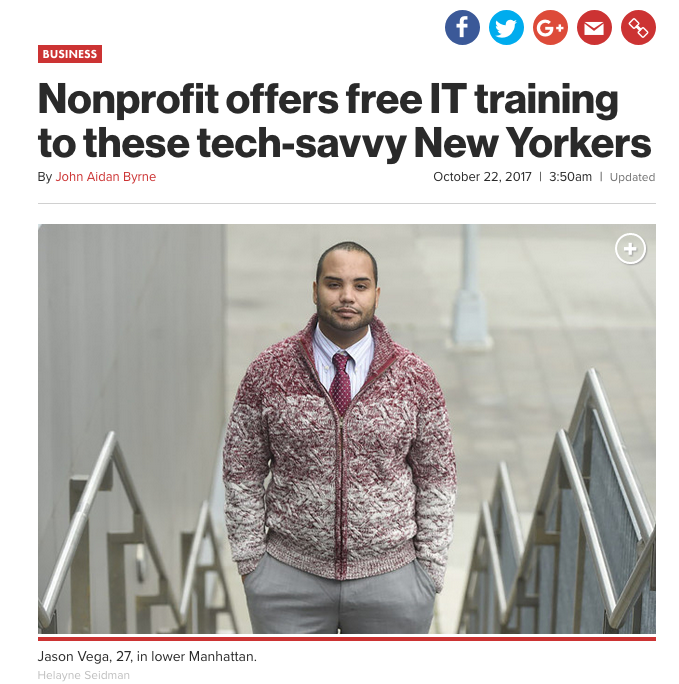 On Sunday, the New York Post ran a big feature on this nonprofit organization, promoting how their programs help lower income students find new careers in tech. The reporter focused his story around a student who turned around his life and career with the help of the nonprofit organization. The next day, our client told MACIAS PR that students called and wanted to enroll in their program. They also received calls from corporate partners who wanted to hire these students. That’s the power of PR. When the message is targeted, it motivates people to action. What was PR like in the 1920s? This fun video imagines. PR is definitely getting more complicated as the media landscape becomes more fragmented. The days of pushing an advertisement or commercial to the largest media outreach are over. Now, you need to be strategic with identifying with your audience is located. The word “publicist” probably didn’t exist in the 1920s, but the act of promoting people and businesses was definitely around. There are several components that increase your chances for a successful media campaign, according to research published by the USC School of Journalism and Communications. Their 2017 Global Communications Report broke down 13 reasons why you get better results working with a PR agency, which you can see above. Earlier today, MACIAS PR was quoted in a USA Today article as a crisis management expert. Sure, this national exposure will raise the awareness of our brand, but let me tell you where this news story will help us most: SEO. About a decade ago, there was a big push by all businesses to get back-links to their website. At the time, Google used back-links to assess the value of a website. If it was in a news article, Google’s algorithm gave the website a higher search placement. Makes sense. If USA Today thinks your business is valuable enough to post a link to your website, Google rightly assumed it must have more value than traditional websites. Then, SEO firms caught onto this back-link game and effectively diluted the value of back-links. Of course, Google is smart, so they changed the SEO game. How would you like to reach 200,000 new business owners? The Fall 2017 issue of Home Business Magazine is out and on page 46, you will read about our client’s accounting services. This was a targeted B2B media placement that took our client’s story directly to their customer. It wasn’t an advertisement; it was an advice-driven article that guided entrepreneurs on how to find investors for their business. 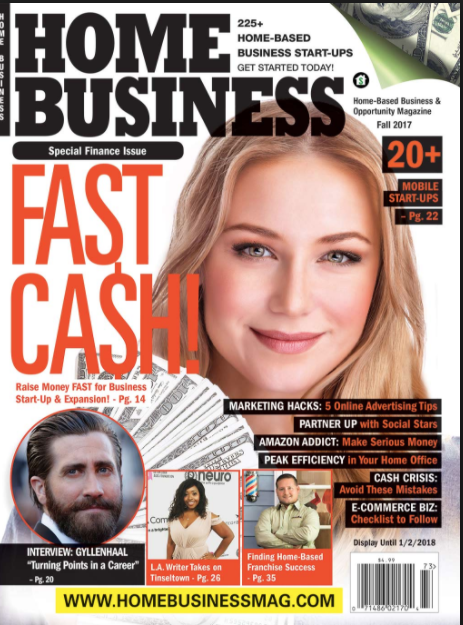 Home Business Magazine is one of the leading publications for startups and new businesses. It targets young professionals ages 20-29 and is a popular source for information and tips to successfully grow business. Placement in Home Business Magazine guarantees you and your company exposure to a targeted audience. There are many PR Firms out there, but when it comes to choosing your partner, I’d like to tell you directly why you get better results working with MACIAS PR over others. I hope by now you have reviewed our website and learned this firm was founded by a former Executive Producer with NBC and Senior Producer with CBS in New York. There aren’t very many PR firms that can say that – in fact, I don’t know of any that can say that. MACIAS PR is proud to announce we have been honored as one of the best PR firms by the ACQ Global Awards. The ACQ Global Award is given by industry peers. In our situation, marketing and PR peers recognized MACIAS PR for our creative media campaigns that led to coverage with the biggest names in news. MACIAS PR has just released its quarterly media report, detailing the coverage it secured for its clients from July to September 2017. In the third quarter of 2017, MACIAS PR secured coverage for its clients with targeted local and national news outlets in print, online and TV. In August and September, MACIAS PR secured consumer TV segments with the WABC franchise 7 On Your Side in New York and the 9 On Your Side franchise in Greenville, North Carolina. 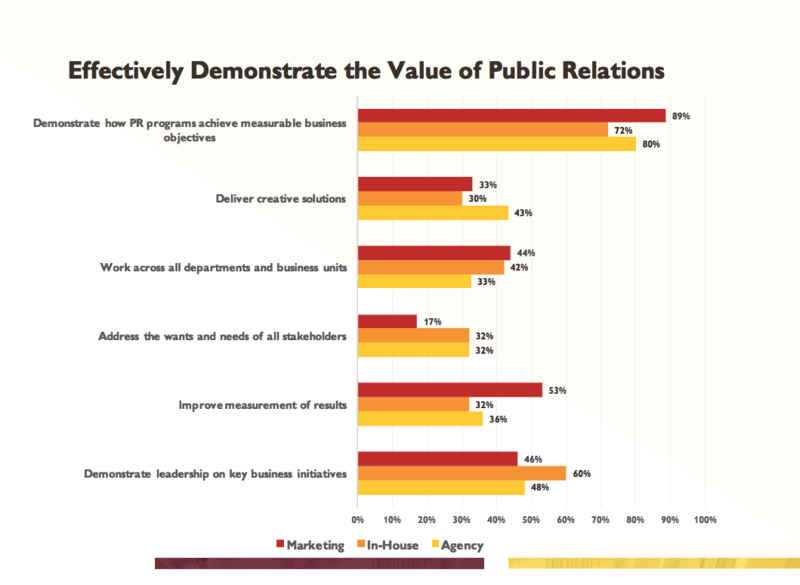 There’s a new study out of USC that breaks down the value of public relations. The 2017 Global Communications Report was conducted by the USC journalism and communications departments, trying to identify trends in PR. One section of the report asked executives how they believed PR brought value to their business. As their above chart shows, The survey found that executives overwhelmingly believe that PR helps their business achieve its objective.